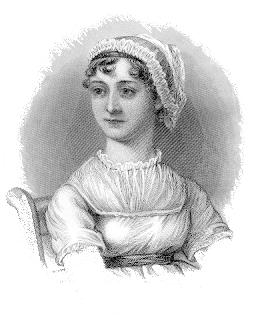 We know that Jane Austen grew up in a literary family, and that she filled her novels with literary references that would have been obvious to well-read contemporaries. Along with references to novels and plays, Austen also used contemporary poetry to give depth to her characters and add nuance to her plots. For this meeting, our RC Jennifer Weinbrecht will lead a discussion about Austen’s use of poetry in her novels, with Program Committee member Tom Sudik contributing. Please join us to discuss this fascinating aspect of Austen’s work! Do you have your own favorite poetical references in Austen’s works? Bring them along! Who wrote “Kitty the fair but frozen maid”? What is the connection between the teenage Austen and a King’s mistress? William Cowper is often described as Austen’s favorite poet. What controversial position did he support? What poem did Austen misquote twice, in two separate novels? Why were Byron’s poems dangerous for a young sailor? Who were Marianne Dashwood’s favorite poets? We’ll explore these and many other questions about Poetry in Jane Austen’s Works at our September meeting!